I proclaim that I officially have the best friends in the world, and if you disagree- we’re both pretty lucky! Although my birthday was last monday, I had a few friends camping over at my house last night. . . *cough 12 friends cough*. Every year I insist on them all making homemade cards- as I do it for each of them! But that’s a whole other topic. And as much as I loved all of their unnecessary presents they bought me, they made me a video! I’m the film maker and editor of the group, but this time they decided to go behind my back and get as many of my friends as possible and record them saying nice things. This included them, (of course), my friends on the bus, my friends who live four hours away, and loads of girls in my year group who they wouldn’t know as well! I almost bawled my eyes out crying at this video- and so did my mother! It was amazing, they were amazing, and they still are amazing. But enough bragging about my video, I’m here to brag about what I got for my birthday! Before you get judgemental, I’m not going to show you diamond rings and expensive gifts they got me. . . rather, I will show you food, toys, things that sparkle and pugs. 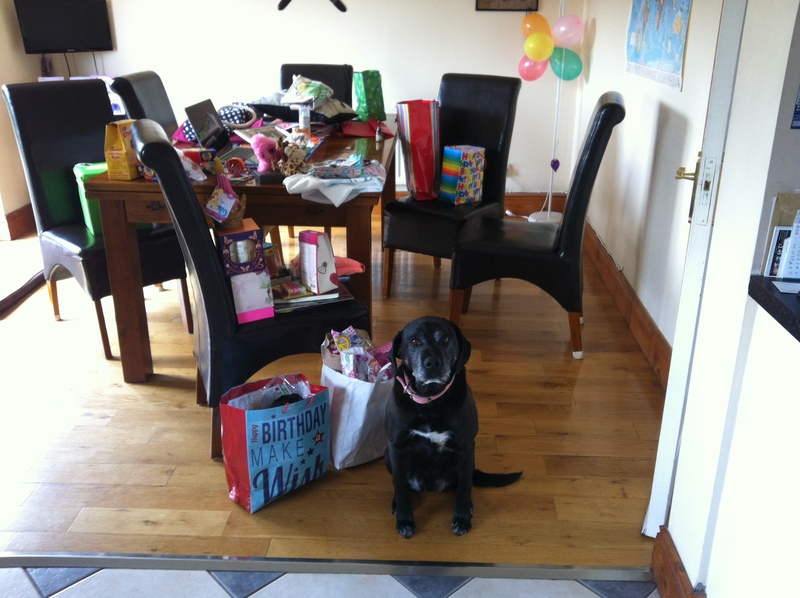 Pictured above is my lovely doggy, whose face is the new header of my second blog. 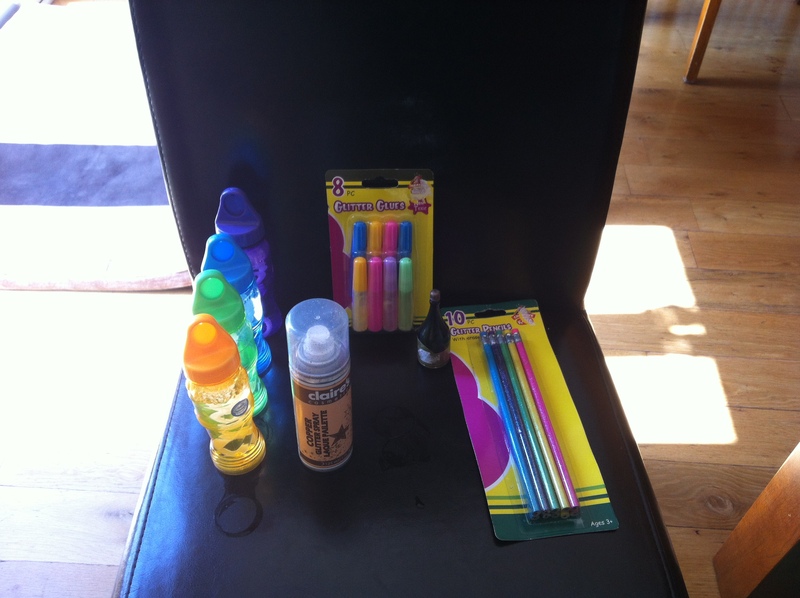 . .
First up, we have the lovely toys that I got! Plus my friend made me little kawaii figurines! Two of my friends got me the same giraffe toy, so one is called ‘Ger’ and the other one is called ‘Affe’. It took my friend five minutes to catch onto the joke. . .
What else could you want for your birthday than a my little pony jumper!?! Along with this, I got a Pretty Little Liars one size fits all crop top, finding nemo socks, pug socks, and slippers! I’m spoilt I tell you! FOOD is next! 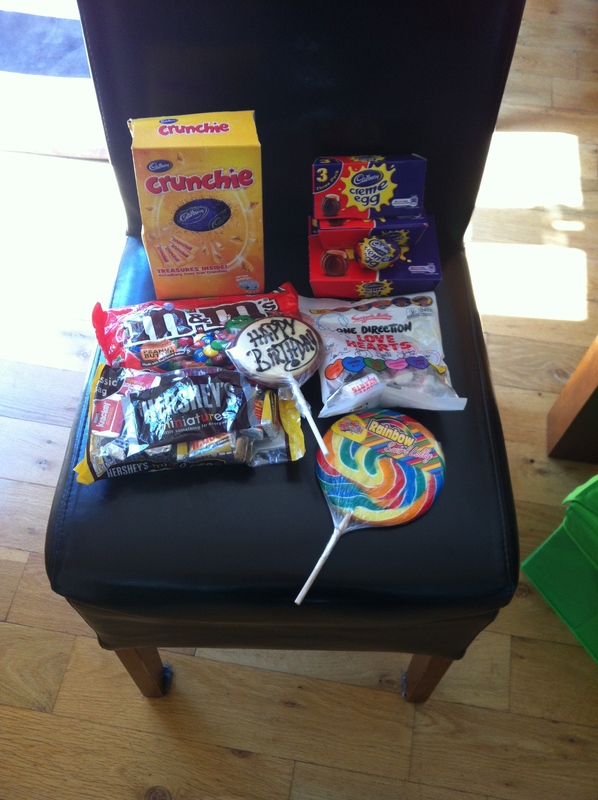 In total for my birthday I received 42 creme eggs… That has to say something about me…. Oh, you can ignore the One direction sweeties… they practically give them away here! Glitter is a necessity in life, along with bubbles. I got many of both! I always have ’emergency glitter’ in my pencil case…. 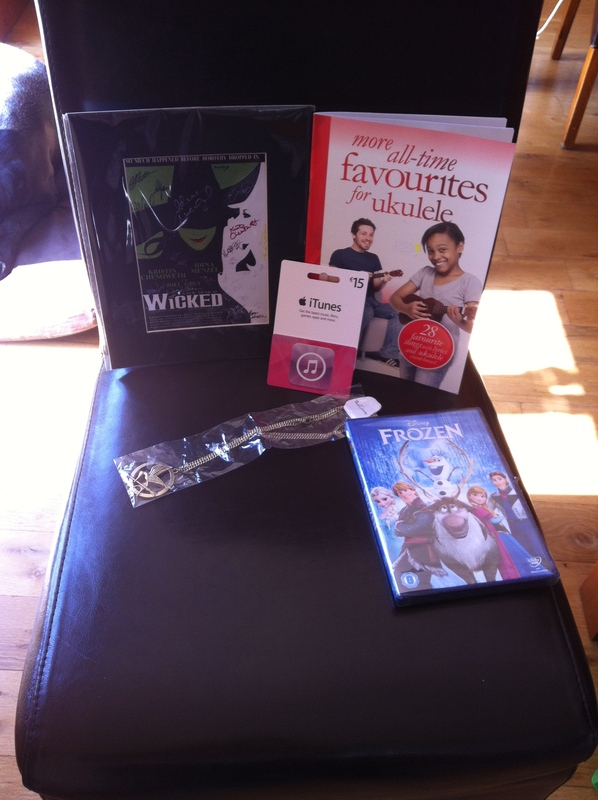 I suppose this is the movies/musicals section of my presents. FROZEN DVD YES. Hunger games necklace, itunes voucher, SIGNED WICKED poster. This was a fun bunch. 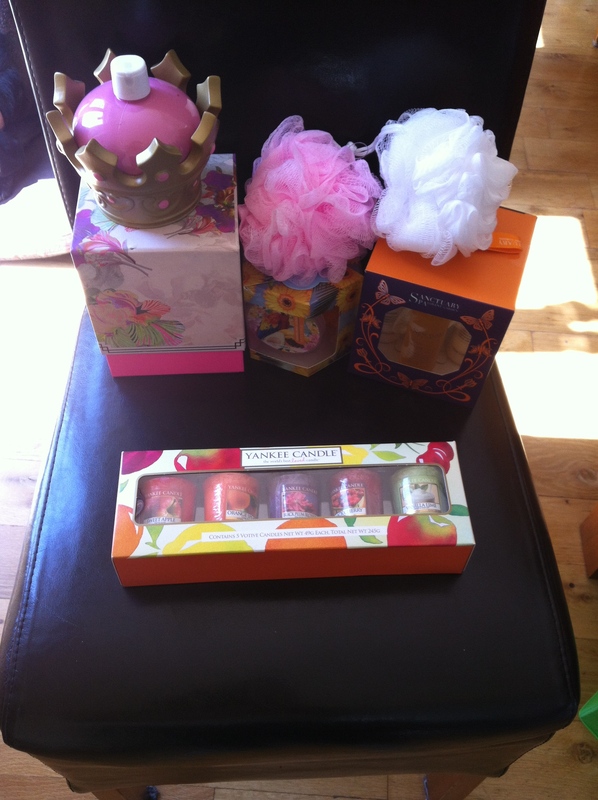 This is the ‘pretty’ presents, which makes me smell better! (Yes friends, I took a hint ;D) I got like 5 loofahs! 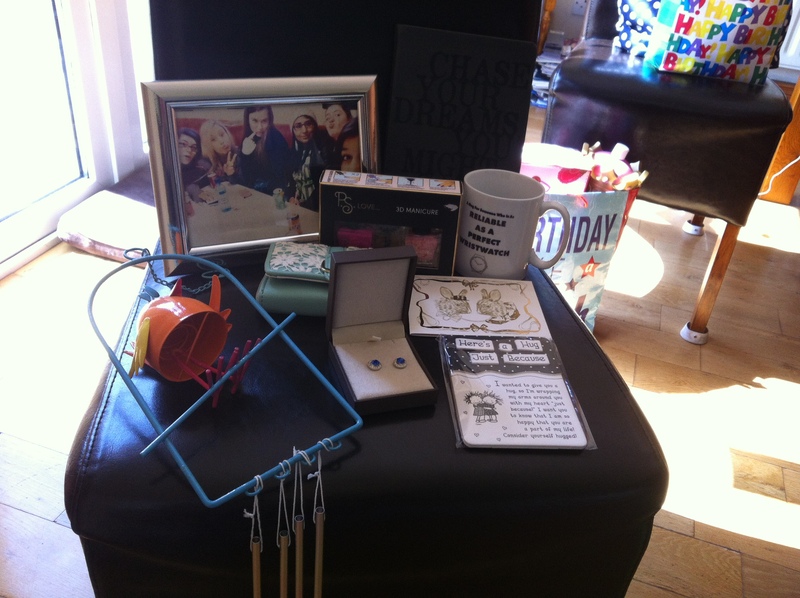 These were presents which didn’t fit into a catagory… Friend picture frame, nail polish, earrings, wallet, wind chime, word changing mug, a written hug, and a clothes voucher! Where would I be without a pug pillow and unicorn bag? My mum actually wouldn’t let me buy that pillow when I saw it last week! I showed her! This is a tradition between myself, and one of my dear friends who shares the same taste in everything as me! I got her a nemo balloon on her birthday last year, she got my my little pony last year, this is our third year! I haven’t had internet acess in DAYS which wasn’t as bad as I thought it would be! I’ve been inactive since Easter break started but I just wanted to let y’all know I’ve a new second blog which will probably feature most of my mind rambles! It’s Daily Dose of Glitter and it’s currently empty! Maybe I’ll actually do daily entries. Who knows! But yes, I’m seventeen as of around 7am this morning! Woo! Also, I got sunburn on one patch on my nose. It looks quite funny. Was just making a birthday card for my friend, and thought I’d upload it! The chin is annoying me, but I prefer it not coloured. We watched the aristocats at my other friends house because we were having a disney marathon and no one else was able to protest against us! It’s Marie the kitten, in case you didn’t know. The birthday present I could get. This morning I woke up and went on Facebook via my phone. As I was going through my notifications, my aunt had posted something on my wall. It was a photo of a piece of an Irish magazine where it had BIRTHDAYS THIS WEEK: along with my name and address. I thought; how come this is in here? Then it dawned on me. Five years ago my Granny died. But when she was still alive, she gave both my sister and I money to be apart of the children’s club in this magazine because every time she was up before, we would buy it and colour and do the crosswords etc. And just this photo caused hundreds of memories to flood back into me about her. It was probably the best gift I’ve ever gotten, because I never thought I’d ‘communicate’ again with her for a long time. And that’s the story how a few simple words made me cry with happiness on my birthday.